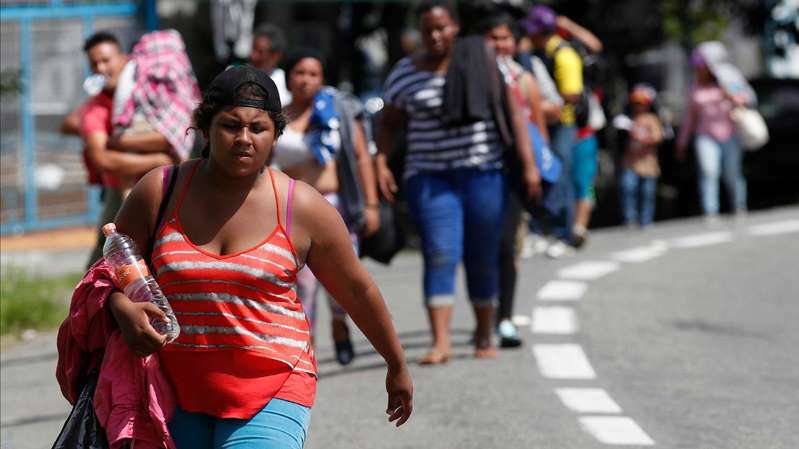 As the world’s eyes remain on the migrant caravan, which has become the new rallying cry in the country’s explosive immigration debate, the members of the caravan are starting to feel the effects of the grueling journey – but they vow to march on. They have been walking for 15 days, some only in flip-flops or crocs. The walks have been long and excruciatingly hot. Hernandez said he caught the flu but has kept walking. No one knows when and if they will reach the U.S., or even what will happen once they do. Many hope to apply for asylum in the U.S., but critics have pointed to the growing numbers as the reason why the country needs to close its borders and stop allowing illegal migrants from barging into the U.S. The caravan traveled 25 miles on Monday. They plan to walk 43 miles on Wednesday. Many of those walking were suffering from exhaustion, dehydration, heat stroke. Some sought medical attention from local clinics. But the numbers have not waned. "When I cough, my chest and throat hurt," said caravan member Rosendo Luna Reyes. The caravan, which crossed into Mexico over the weekend, still numbers roughly 7,000. It rested Tuesday 45 miles north of the Guatemalan border. They vow to reach the U.S., but that’s still thousands of miles away. Those who are walking say the fear getting attacked if they hop on a cargo train or getting deported if they take a bus. Born in Honduras but raised in Texas, Colindres was deported from a construction site in Austin last week and is now trying to return. He said the majority of those who are walking have no idea what to expect at the U.S. border. A majority of those walking say they are looking for a better life north of the border. They are exhausted and unaware of what will happen – but they remain optimistic.